Carl Fisher concentrates his trial practice in the defense of commercial litigation, commercial motor vehicle, general liability and product liability cases involving personal injury, catastrophic injury, wrongful death, property damage and commercial damages. Mr. Fisher is a Fellow of the American College of Trial Lawyers, has tried more than 80 civil cases to verdict in Illinois, Indiana, Maryland, New Jersey, New Mexico, New York, Ohio, Pennsylvania, Texas and Washington, and has been admitted pro hac vice in over 30 state and federal courts. Mr. Fisher has represented American trucking companies and European, Asian and American product manufacturers in their lawsuits throughout the United States, served as national trial counsel for a management services company and several consumer services companies, and acted as national product liability supervisory counsel for a consortium of international amusement ride companies. 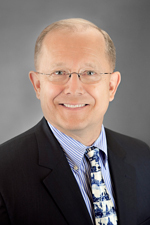 Mr. Fisher is the Leader of the Transportation Practice Group of Hinshaw & Culbertson LLP. Mr. Fisher is a Fellow of the American College of Trial Lawyers. He has been recognized by his peers as a Leading Lawyer in the category of Personal Injury Defense Law: Products Liability and General. Mr. Fisher holds the AV® Peer Review Rating from Martindale-Hubbell, its highest rating for ethics and legal ability. In 2005 he was named to the Super Lawyer list in the area of Transportation by Illinois Super Lawyers magazine, and since 2006 he has been recognized annually in the area of Transportation/Maritime law on the Super Lawyer list. While a Judge Advocate with the U.S. Marine Corps, Mr. Fisher tried more than 250 federal felony cases involving murder, robbery, burglary, larceny, drug offenses and military offenses. In 1985 and 1986, Mr. Fisher tried 10 straight cases to defense verdicts, the streak coming to an end in a hung jury on a wrongful death case. His trial record has continued into the second decade of the 21st century where he has prevailed in over 70% of his cases tried. In addition to his other accomplishments during law school, Mr. Fisher was the recipient of the Waterman Prize and the Rickert Award for Excellence in Moot Court. While attending the University of Illinois as an undergraduate, Mr. Fisher became a member of Phi Beta Kappa, Omicron Delta Kappa, Delta Sigma Rho-Tau Kappa Alpha and Phi Eta Sigma fraternities. He was on the Dean’s List all four years. Stojkovich v. Westinghouse: An inebriated passenger escaped out of a stalled elevator car, fell down the shaft, and sustained significant traumatic head injury. Although defendant client’s New York vice-president criticized the local elevator maintenance manager, calling his supervision of the elevator maintenance services “negligent,” the jury only assessed 25% responsibility on the elevator service company. Defense pre-trial and trial objections to allowing punitive damages claim were upheld on appeal. Appellate decision establishes standards of review for trial court evidentiary and non-evidentiary hearings on appropriateness of a punitive damages claim. Stojkovich v. Monadnock, 281 Ill.App.3d 733, 666 N.E.2d 704 (1st Dist. 1996). Roland v. Astro Amusement Company: Plaintiff was a 45-year old U.S. Postal Service mail carrier who sustained a frontal lobotomy injury after he walked around protective fencing and into the path of a fully operating amusement ride. The demand on the case was $2 million; the offer on the case included a structured settlement package valued at $400,000. After a three-week trial, the jury returned a verdict in two hours in favor of all the defendants. On appeal, the Seventh Circuit Court of Appeals affirmed the trial court's evidentiary rulings concerning demonstrative evidence used by the defendants and reinterpreted Illinois law on the duty owed to trespassers. Roland v Langlois, 945 F.2d 956 (7th Cir. 1991). Northern Trust v. Upjohn Company: The plaintiff was a woman who underwent an abortion procedure at a Chicago hospital. During the procedure, she sustained permanent brain damage as a result of cardiopulmonary arrest. Her claim included allegations of medical malpractice against the treating physician and hospital and product liability against our client, The Upjohn Company. After six weeks of trial and one week of jury deliberations, the jury returned a verdict of $9.5 million against all defendants. On appeal, the Illinois Appellate Court reversed the decision and entered judgment in favor of all the defendants. The appellate decision established new law in Illinois that expert testimony is required on drug product liability warnings cases and reiterated that changes in packet inserts after an incident are inadmissible. Northern Trust v Upjohn, 111 Ill.App.3d 222, 333 N.E.2d 444 (1st Dist. 1989). Walters v. Maren Engineering: An employee at a Kansas paper recycling company severely injured his hand in an altered and modified recycling machine. A choice of law motion filed on the eve of trial resulted in Kansas’ several liability law being applied. The appellate court affirmed the trial court’s application of foreign law, and Kansas practitioners use this case as an example of the requirements for advancing a several liability and phantom defendant defense. Walters v. Maren Engineering, 246 Ill.App.3d 1884, 617 N.E.2d 170 (1st Dist. 1993). Carpenter v. Whirlwind: In this product liability action, the plaintiff, a chronically unemployed individual being trained for new work, had his hand amputated in an industrial work saw at a training center. A policy limits demand was made on the product manufacturer, who maintained that he would rather have his family business go bankrupt than pay the plaintiff anything. The defense claimed the plaintiff was not entitled to an award because of his assumption of risk and faulty training and maintenance by the plaintiff's employer. The trial resulted in a no liability verdict in favor of the defendant. Ames v. Mori Seiki Co.: This product liability/commercial breach of warranty case involved a husband and wife whose company purchased aCNC machine lathe from a local dealer of defendant clients, Mori Seiki Co. Ltd. and Mori SeikiUSA. While operating the machine, the husband was severely injured by a piece of rotating bar stock extending beyond the end of the machine. Although the defendants were not aligned on all issues, constant meetings to avoid infighting in front of the jury resulted in a cohesive, coordinated defense. Plaintiffs’ demand for settlement was $3 million. No offers were made. After a five week trial, the Decatur, Illinois, jury returned a verdict in favor of all defendants. The Illinois Appellate Court affirmed the defense verdict in an unpublished opinion. Moyer v. Holloway Equipment Ltd.: In this commercial motor vehicle accident case, the plaintiff sustained disabling leg injuries after being crushed by a Canadian truck driver’s nine axle low boy trailer as it was being loaded. Although the company client was no longer in operation and the truck driver could not be located for deposition or trial testimony, the jury was convinced that the accident was caused either by the contributory negligence of the plaintiff or the combined negligence of two third-party defendants who settled directly with the plaintiff before and during the trial. Cosentino v. Hirschbein: In this catastrophic injury and wrongful death motor vehicle accident case, the client drove into the aftermath of an accident that killed a 29-year-old "bread winner" husband, severely maimed his widow, and resulted in the stillbirth of their second child. The claim against the client was that her slight impact with the plaintiff's vehicle exacerbated and aggravated the injuries received by the widow. During the trial, the investigating police officer changed his story from the favorable version at his pretrial deposition to adverse testimony in favor of the plaintiff. The defense expert anatomy professor helped establish that there was no causal connection between the client's impact with the plaintiff's vehicle and any of the injuries or death. The demand was $2 million; there was no offer. The jury returned a verdict in favor of the defendant. Welch v. Central Transport: In this admitted liability case, the truck driver struck and killed the plaintiff's decedent pedestrian at a tollway booth. At trial, the plaintiff's family members extolled their son's and brother's virtues, although his estranged father testified that he was dishonest and loose with money. Our client offered $200,000. The verdict was $199,000. Alop v. Edgewood: Child playing on condominium association’s playground sustained head injury after falling from slide onto hard surface without sand, chips or cushioning. Defendant’s summary judgment motion was granted and upheld on appeal, based on obviousness of risk of falling even to a four-year-old. Alop v. EdgewoodValley Condominium Association, 159 Ill.App.3d 482, 507 N.E.2d 19 (1st Dist. 1987). "Direct Examination: How to Work with Counsel and Excel," SEAK Expert Witness Conference, Clearwater Beach, Florida, May 6, 2017. "Top 7 Civil Litigation Mistakes - and How to Avoid Them," National Business Institute Video Webcast, September 2015. "Trucking Regulations, Liability and Litigation," National Business Institute Video Webcast, June 2015 and October 2014. "Truck Accident Litigation 101," National Business Institute Video Webcast, March 2014. "How Do You Get to Federal Court (and Stay There)?" Hinshaw University, Chicago, Illinois, June 2012. "Use of Neuropsychological Evaluations in Defending the Traumatic Brain Injury Case," IDC Spring Seminar, Chicago, Illinois, April 2012. "What You Need to Know About the New Illinois Rules of Evidence," Hinshaw University, Chicago, Illinois, January 2011. "Talking With the Jury," Hinshaw CLE Seminar, Chicago, Illinois, March 2010. "The Magical Thinking of Hindsight: ‘Back to the Uncertain Future,’" Hinshaw All Attorney Meeting CLE, Chicago, Illinois, October 2009. "Looking Backward, Thinking Backward: Hindsight Judgment of Human Error in Transportation Accidents," 18th National Conference on Rural Public and Intercity Bus Transportation, Omaha, Nebraska, October 2008. "The Top Ten Ways to Lose A Case," Illinois Institute for Continuing Legal Education (IICLE) seminar "Litigating Back and Neck Injury Cases," Chicago, Illinois, February 2008 and February 2007. "Foresight vs. Hindsight: A Legal Comparison of How Litigants and Their Experts Should or Could Evaluate Driver Error in Traffic Accidents with how Lawyers, Experts, Judges and Jurors Typically Assess Legal Responsibility," Transportation Research Board Annual International Convention, Washington, D.C., January 2008. "2005 Update of Illinois Law," T.I.D.A. State Law Summary, February 2005. "Presenting and Defending the Wrongful Death Case," National Business Institute Seminar, Hinsdale, Illinois, February 2005. "Punitive Damages Update," Civil Damages Seminar, Illinois Institute for Continuing Legal Eduction Seminar,Springfield and Chicago,Illinois, January 2005. "Preparing the Civil Case for Trial," National Business Institute Seminar, Willowbrook,Illinois, December 2004. "Opening the File: Jurisdiction, Venue, Pleadings and Motions," Rookie Seminar, Illinois Association of Defense Trial Counsel, Chicago, Illinois, November 2004, 2003 and 2002. "Trying the Automobile Case," National Business Institute Seminar, Chicago, Illinois, August 2004. "Superior Deposition Strategies," National Business Institute Seminar, Chicago, Illinois, November 2003. "Evidence in Trial Practice," National Business Institute Seminar, Willowbrook, Illinois, May 2003. "Effective Depositions and Opening the File: Jurisdiction, Venue, Pleadings and Motions," Rookie Seminar, Illinois Association of Defense Trial Counsel (Program Chair), Chicago, Illinois, November 2001. "The Advantages of Admitting Liability in the Defense of a Case," T.I.D.A. Annual Seminar, Indianapolis, Indiana, October 2001. "The Automobile Injury Case for Paralegals," National Business Institute Seminar, Chicago, Illinois, November 2000. "Premises Liability Update for the Trucking Industry," T.I.D.A. Annual Seminar, Denver, Colorado, October 2000. "Evidence Law Update," Spring Seminar,Illinois Association of Defense Trial Counsel, St. Louis, Missouri, March 1999. Legal Roundtables" of the International Association of Amusement Parks and Attractions (IAAPA): Orlando, Florida, November 1991 and 1986; Dallas, Texas, November 1992; New Orleans, Louisiana, November 1987; Atlanta; Georgia, November 1989, Washington, D.C., November 1990. "Civil Jury Instructions for the Occasional Litigator,"Chicago Bar Association Seminar, August 1997. "Premises Liability: The Difficult Case in Illinois," National Business Institute, Willowbrook, Illinois, August 1997. "Legal Perspectives on Pipeline Safety,"Pipeline Reliability Conference, Houston, Texas, November 1996. "Jury Instructions Lecture in Summer Boot Camp for Aspiring Litigators," Chicago Bar Association Seminar, August 1996. "Catastrophic Litigation and Punitive Damages,"Dibb Lupton, London, England, May 1996. "Defending the Indefensible Motor Vehicle Accident Case,"Chicago Bar Association Seminar, February 1996. "Joint and Several Liability-2-1117," Chicago Bar Association Seminar, November 1995. "Workplace Violence: The Legal Defenses," National School Bus Company, February 1995. "Deposition Preparation for the Truck Driver," Trucking Industry Defense Association, Kansas City, Missouri, October 1993. "Expert Witnesses: Their Selection, Preparation and Utilization," Chicago Bar Association Seminar, June 1993. "Premises Liability Cases," Chicago Bar Association Seminar, March 1993. "How to Minimize Defense Costs," NAICO,Chandler,Oklahoma, May 1992. "Employer Liability: Strategies after Kotecki," Hinshaw & Culbertson LLP Insurance Symposium, September 1991. "Defending the Rear End Accident Case,"Chicago Bar Association Seminar, May 1991 and June 1988. "Successfully Handling the Slip and Fall Case," (Program Chair), Illinois Institute for Continuing Legal Education, Chicago, Illinois, February 1990. "Disputing Future Medical and Economic Special Damages,"Chicago Bar Association Seminar, September 1989. "Successful Defense of the Automobile Accident Case," Chicago Bar Association Seminar, May 1989. In Carl’s spare time, he enjoys golfing, running and refereeing adult amateur and college soccer matches for the US Soccer Federation and NCAA. He plans and leads tours of Normandy and D-Day battle sites.